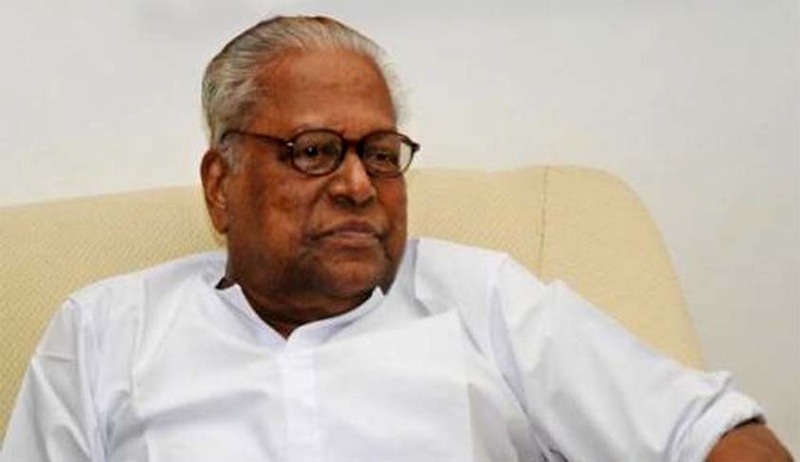 A division bench of Kerala High Court has issued notice to senior CPM leader and former Chief Minister of Kerala VS Achuthanandan in a public interest litigation challenging his appointment as Kerala Administrative Reforms Commission Chairman. The bench comprising Justice Thottathil B Radhakrishnan and Justice Devan Ramachandran was hearing the PIL filed by Advocate Arun Thomas against the appointment that took place without prescribing the qualification, method of appointment and the constitution of the Selection Committee for the post. The bench had already issued notice to the other respondents, including former chief secretaries CP Nair and Neela Gangadharan. According to the petitioner, the action of the state government in filling up the post of chairman of the Administrative Reforms Commission by appointing the second respondent without prescribing the qualification for same and without inviting applications from eligible candidates and conducting a due process of selection, is totally arbitrary, illegal and violative of Articles 14 and 16 of the Constitution of India. The petition filed through Advocate Santhosh Mathew contented that Sri Achuthanandan was selected to the said post without specifying any qualifications and conditions of service thereto by the government. Relying on the doctrine of spoils system as formulated by the apex court, the petitioner contended that Sri Achuthanandan cannot be appointed as Chairman, Administrative Reforms Commission. By appointing Sri Achuthanandan, who has only studied till VIIth standard, the state government is following the “spoils system” (patronage system) for adequately compensating the second respondent for spear heading the election campaign on behalf of the Left Democratic Front. A responsible position like the chairman of the Administrative Reforms Commission cannot be permitted to be filled up by a person like Sri Achuthanandan, whose educational qualification is only VIIth standard, who by virtue of a constitutional silence happened to be elected as the Chief Minister of Kerala as well as the Leader of Opposition. Petitioner taking cue from Article 309 of the Constitution of India, also contends that Sri Achuthanandan does not possess the requisite qualifications to hold the said post which is a public post and, hence, should be subject to normal statutory and mandatory recruitment procedure. “It is submitted that Administrative Reforms Commission means a body of experts constituted by the State Government from time to time, to study different aspects of administration and recommend measures for its improvement. The second respondent who has studied only till the VIIth standard by virtue of a constitutional silence had occasion to function as the Chief Minister of Kerala and Leader of Opposition. The second respondent does not have the qualification to hold the post of Chairman of the Administrative Reforms Commission. The attempt of the State Government to appoint the second respondent as the Chairman of the Administrative Reforms Commission is vitiated by malafide and is totally arbitrary and illegal and violative of the provisions of the Constitution of India and is a colourable exercise of power,” the petition stated.